A fantastic casino in every way using superb Playtech and IGT software, offering decent sign up and on-going bonuses and great customer support. Bet365 and Paddy Power both offer more substantial instant play “Games” casinos to compliment the Playtech casinos used as their main casino. Betfred is one of the larger brick and mortar gambling institutions in the UK and is probably best known for its sports betting. 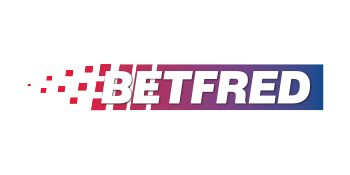 Betfred offers the player Poker, Sports betting, Lotto, Bingo and a Mobile Casino as well as a Live Casino and two main online casino offerings. Betfred Casino has been operating since 2005 and has a solidly established reputation for providing a first class gambling experience that treats players with respect in terms of customer service, fairness and on-going promotions to reward regular players. It is licensed to Gibraltar and it is an accredited casino with Casinomeister so there are multiple options you could turn to in the unlikely situation that you have any problems with this casino. Betfred’s main casino uses the Playtech platform which is a fantastic software platform that is only perhaps bettered by Microgaming but is sufficiently different and excellent that I am sure many people will enjoy using Playtech software more than any other. It is often that I find myself hankering after unique elements that they offer whether it is playing the 50 line Iron Man 2 slot or some of their other uniquely satisfying slot games or to enjoy their table games. They offer an excellent variety of games that ensure that there will be something for every gambler and the software is lovingly designed to provide a slick, graphically superior and hugely satisfying experience. Whether you want to play slot games, card games or roulette you are guaranteed to find games you will love with superb interfaces and reasonably player friendly variants. There is a good depth of games on offer in each area so if you like Blackjack there are many different versions for you to choose from, just as there are with video poker and other games. As a big Mah-jong fan I found myself enjoying the Mah-jong based single player gambling games that are available as part of Playtech’s standard offerings in their “Asian games” section although players unfamiliar with this Rummy like game may prefer to stick with the other games available. Betfred also works hard to try to get the newest games onto their site a little ahead of the competition. 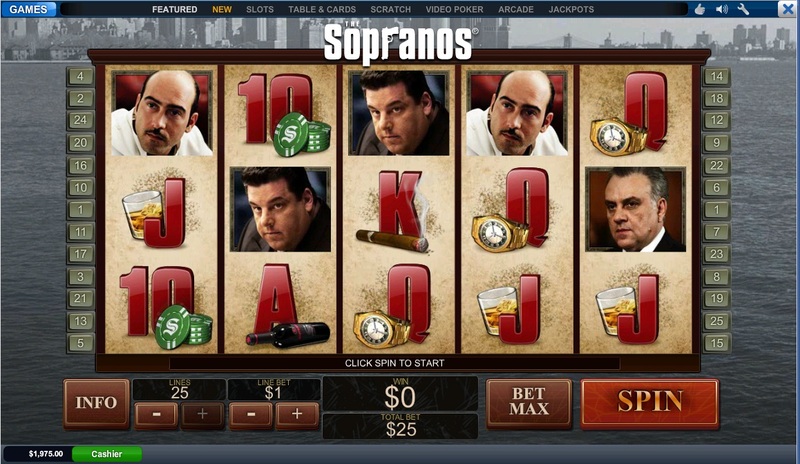 Currently you can play games like The Sopranos Slot and their John Wayne Slot ahead of most Playtech casinos. Betfred, as one of the very best Playtech casinos available to the player does not follow common Playtech software restrictions in payout times and provides full quick payouts for any progressive jackpot win. If you want to play progressive jackpots then you are far better doing so on a site such as this that will actually allow you to withdraw your full winnings rather than imposing monthly or weekly withdrawal caps that could mean it takes years before you can fully withdraw your winnings. 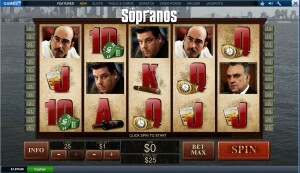 The casino is available in both a download and an instant play version. With less financially secure casinos there is a significant chance that they would stop trading before you would claim much of your winnings if you play progressives at casinos that put weekly or monthly caps on your withdrawals. In addition to the Playtech Casino they also offer a casino in their “Games” section that currently consists mainly of IGT offerings. This is a great addition to the casino and I particularly enjoy the retro Sensible Soccer slot game and the Star Trek: Against All Odds that is available on that platform. Some players may be a fan of the IGT versions of table and card games too. The range of games available is far less than is available on some multi platform “Games” casinos of other big gambling brands such as Ladbrokes, Paddy Power or Bet365 where they will offer games from a variety of software providers but having a good range of games still gives the player some great additional gambling options to the main Playtech Casino. Some players may be a little overwhelmed by the range of gaming options on those platforms so they may not see the smaller offering as a bad thing. As a trustworthy, player friendly casino Betfred casino is a great casino for you to choose whether you wish to take advantage of their bonuses or just hope that your luck will be better with them than with some other Playtech powered casinos. As with any casino to use a software platform we all have slightly different preferences for how we want the interface to look and whilst I particularly like the look of Paddy Power you may well find that you prefer the look and colour schemes associated with the Betfred Brand. Betfred offer reasonable sign up bonuses and that may be one of the reasons for checking them out instead of sticking with Paddy Power or Bet365 casinos. They currently offer a 100% deposit bonus up to £200 with a 20 times bonus and deposit playthrough requirement which is quite reasonable. Like most casino bonuses playing on many games will be discounted in terms of meeting your wagering requirements and if you claim the bonus then you are not able to make a withdrawal until the bonus terms are met. You are not allowed to make any bet that is more than 20% of your bonus whilst meeting playthrough requirements but this should not stop you having a great experience at this site. They also offer a separate bonus for their Games section and a range of bonuses available both for second and third deposits and also regular bonuses that can include cashback bonuses as well as deposit bonuses. The bonus is not withdrawable though and you have a short period of time (10 days) to play through the deposit bonus. Betfred is a good casino for offering on-going bonuses to its players. Overall Betfred is a great, safe casino to use that offers games from two great software providers with Playtech casino taking centre stage. They are one of the best casinos in terms of customer service, security and withdrawal rules who use the Playtech platform and they are well worth checking out. If you have not tried Playtech casinos then this is a great casino to use to try the software and if you like Playtech then Betfred offer a compelling combination of great bonuses, great customer service and being one of the safest places to play online.